Pat Neff Hall was started in 1938 (with a Masonic cornerstone laying ceremony on December 7, 1938) and completed in 1939. The building was dedicated on Founders Day 1940. President Neff received an offer from the General Educational Board of a $50,000 gift to the university if an administration building was built to free up classroom space. The 46,000 sq. ft. building was built in the American Georgian style, by Waco architectural firm Birch D. Easterwood and Son, at a cost of around $250,000. The original carillon (the Cullen F. Thomas Carillon) was initiated on December 21, 1939, but dedicated at the same time as the hall. The original carillon cost $15,000 and consisted of 25 bells. Chronic mechanical failures eventually led to its replacement by the McLane Carillion, named for the Drayton McLane family of Temple. Cast in France by the prestigious Paccard Bell Foundry, the 48 bell carillon cost $325,000, and was dedicated at Homecoming 1988. 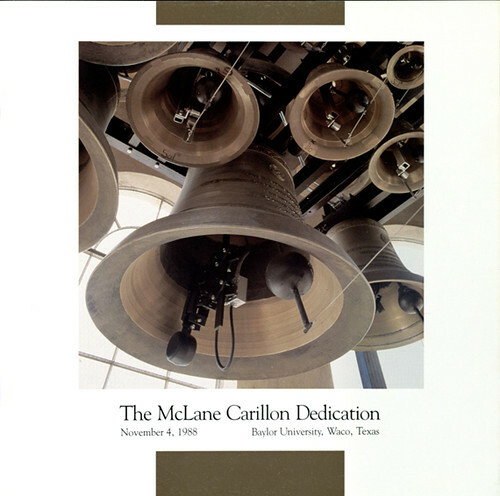 Read more about the McLane Carillon and its circuitous route to Baylor. The dome was originally stainless steel, making it the second stainless steel roof in the country, until gold leafing was put on in 2000. The tradition of green lights of Pat Neff after athletic wins was started in 1978. Check out our Pat Neff Hall construction Flickr set to see the individual photos (and a few more). GIF and factoids by student archives assistant Braxton Ray. Did you listen for the bells this Homecoming weekend? So many Baylor alums talk about missing the beautiful hymns played on the McLane Carillon, or just the chiming of the time. From getting students to class on time to September 11 memorial recitals, the bells are an integral part of the Baylor experience. But did you know that on their way to Waco, they took an accidental trip to Mexico? The smallest bell in the McLane Carillon weighs 29 pounds, and the largest weighs 4,370 pounds. 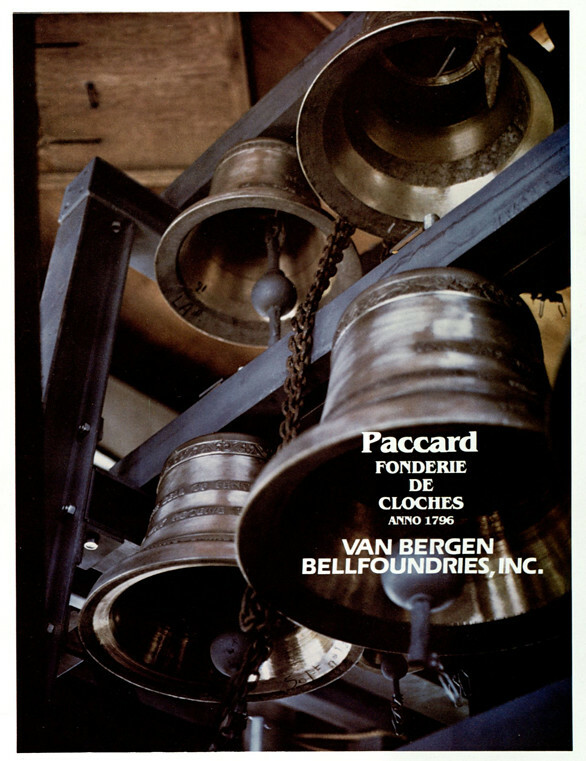 The 48 bells of the McLane Carillon were made by the Paccard Bell Foundry in Annecy, France, a company whose bells can be heard around the world. After they were finished in 1988, a freighter picked them up and was to unload them in Houston, and a trucking company would complete their journey to Waco. The bells of the McLane Carillon took about a year to craft. Yet the best laid plans can go astray—the ship failed to stop, and the bells went on their way to Mexico. Of course, the error was discovered, the freighter returned to Houston, and the bells made it to Baylor, just a few days later than planned. But wait, you’re thinking—weren’t there bells ringing from Pat Neff before 1988? Yes! But unfortunately, the Cullen F. Thomas chimes had fallen into disrepair after 50 years of music, and the tower fell silent. Thanks to the generosity of the Drayton McLane family and the McLane Company, Inc., of Temple, Texas, Baylor was able to purchase a new carillon. And Baylor’s bells are inscribed with biblical and literary quotations. Selected by the McLane family, there is a quote from each of the Baylor presidents up to the 1980s, a bell dedicated to the faculty of Baylor University with a line by Geoffrey Chaucer (“And gladly wolde he lerne, and gladly teche”), and much more. The quotations can be seen on a plaque in the Pat Neff Hall entryway. So next time you hear “Doxology” or “That Good Old Baylor Line” pealing across the campus, stop and listen a moment. The Baylor soundscape wouldn’t be the same without them.